I had a whole different item planned for this post. Then: “Ricky McCormick Murder: FBI Wants Public's Help in Breaking Encrypted Clues1,2,3” showed up in the news. Suddenly cryptography jumps out of the shadowy world of trench coats and Mata Hari and into the 5 o'clock news. Apparently, back in 1999, a gentleman named Ricky McCormick was found dead. His death was ruled a homicide. His body was dumped in a field and the only clues left behind were two encrypted notes in his pocket. The FBI (and probably every group of spooks employed by the federal government4) has been working on these notes attempting to decrypt them; all with no success. So now they're asking for the public's help. Can you break the encryption, read the notes and possibly solve a twelve-year-old murder? 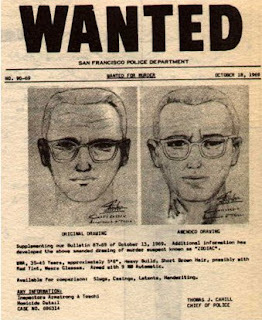 While you're at it, if you're into a little mental gymnastics and like cryptography, look into the encrypted letters from the infamous Zodiac Killer4. Several of them have yet to be broken. There are many other old cryptograms that have never been solved5. Try your hand at a few of them. Who knows; maybe you'll find a new career. Solve the Beale cyphers and you could even become a millionaire. To help you get started, you might want a good example of forensic cryptanalysis. Take a look at the case of Ed Burns6 . Here you will see not only the cryptograms and their solutions, but a short lesson on how they were solved. Look to my next posting for a good list of resources regarding encryption and cryptanalysis.